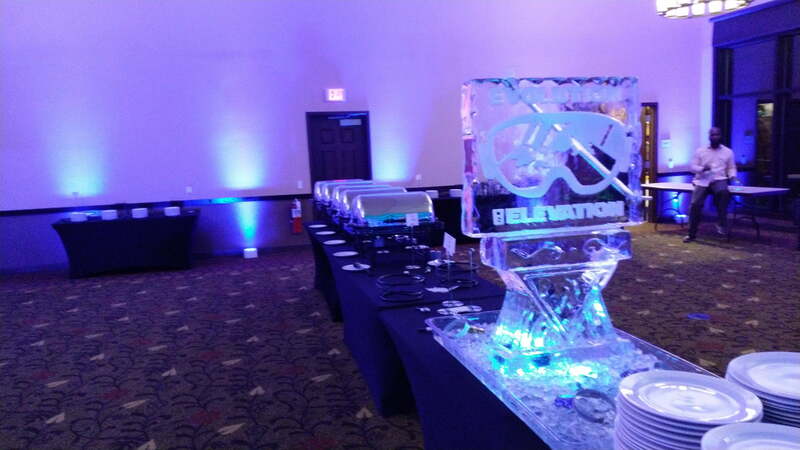 What an amazing evening celebrating with Pulsepoint for their annual retreat at Camel back Resort and Lodge. Employees enjoyed an day full of Skiing and team building activities. 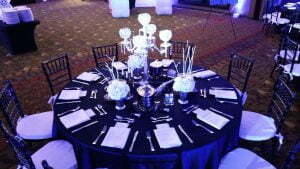 At night the party moved to the main ballroom. 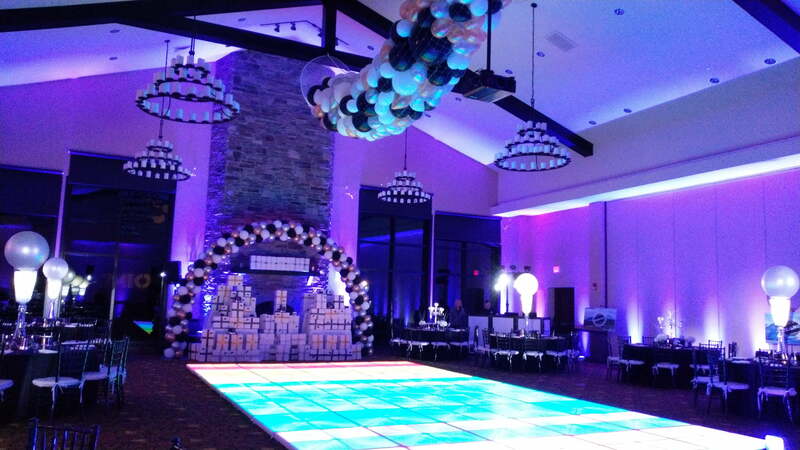 The venue was transformed into a New Years celebration theme. 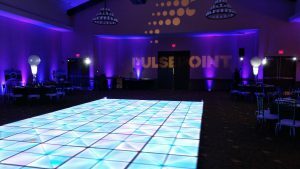 The LED dance floor illuminated the room with pin spotting highlighting the personalized centerpieces. The purple uplighting throughout the room went along with the monogram of the company logo being showcased in the entry way. The CEO of the company made a grand entrance on the back of a giant tricycle with a marching band out in front! He made a toast to thank his hardworking staff, and dinner was served. Rockin’ Ramaley kept the dance floor moving, and the employees had a dance off competition! They enjoyed dancing to over 20 different tracks of all varieties to beat out their peers for prizes! When it came closer to midnight, they had a video of times square projected on the big screen. Everyone counted down to the new year, and a giant balloon drop fell from the ceiling! The party continued with non stop dancing through the night.